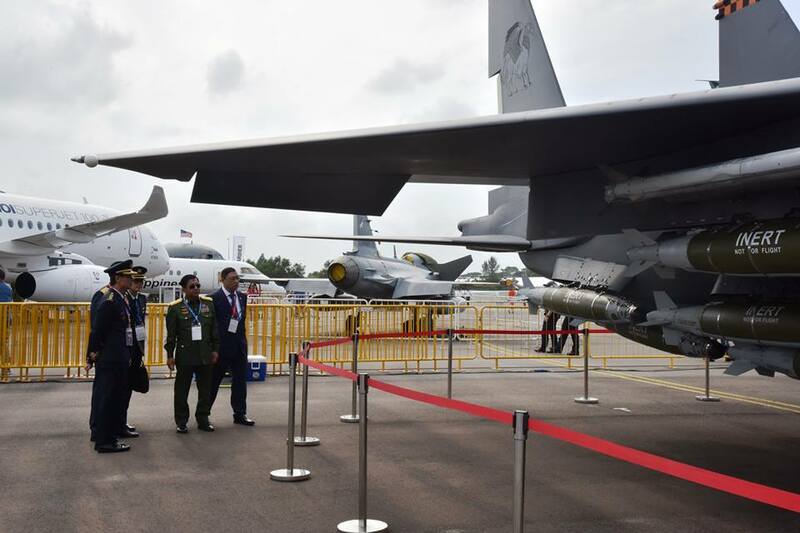 Commander-in-Chief of Defence Services Senior General Min Aung Hlaing who is in Singapore accompanied by Commander-in-Chief (Air) General Maung Maung Kyaw, senior military officers, Myanmar Ambassador to Singapore U Htay Aung, Myanmar Military Attaché (Army, Navy and Air) Col Hsan Nyunt Oo and officials attended the Singapore Airshow 2018 at Changi Exhibition Centre this morning. 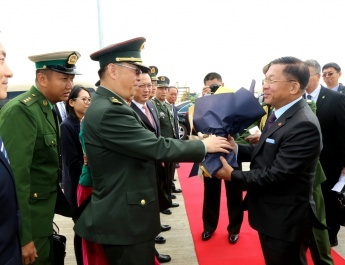 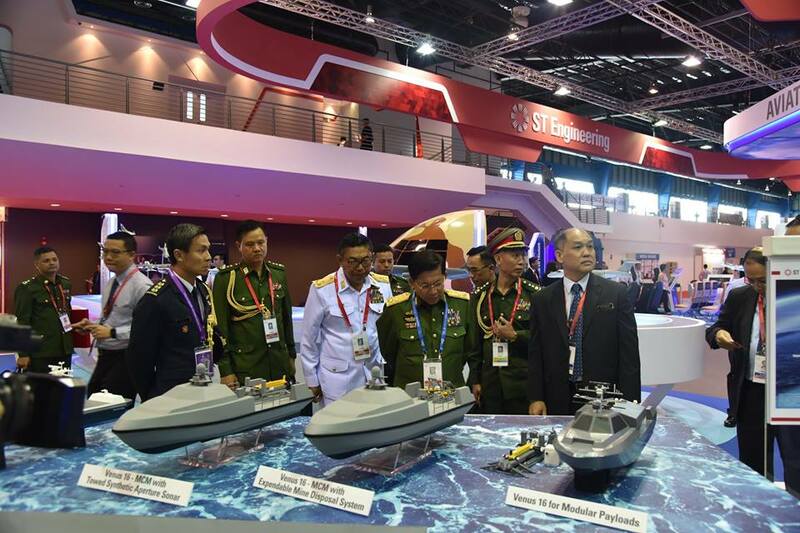 The Myanmar Tatmadaw delegation led by the Senior General visited the booths at the Changi Exhibition Centre where officials conducted them round the booths. 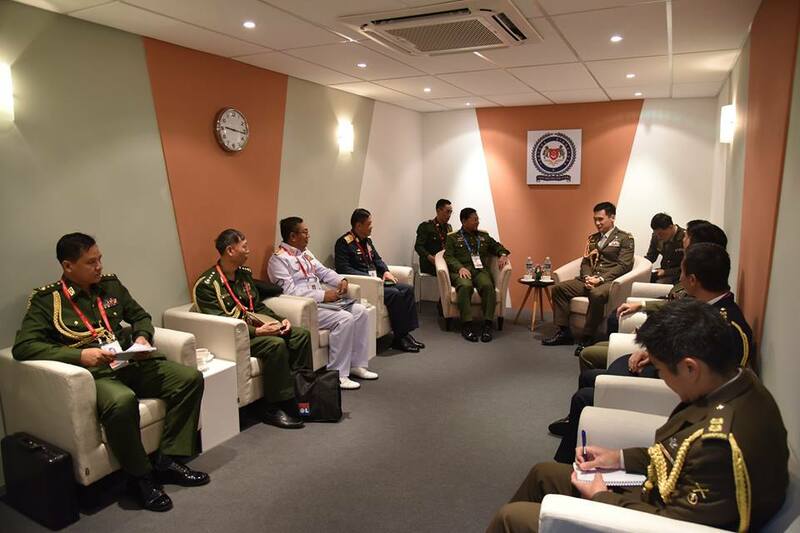 The Senior General held a meeting with Chief of Defence Force of the Singaporean Armed Forces Lt. Gen. Perry Lim at Changi Exhibition Centre of the Ministry of Defence Chalet. 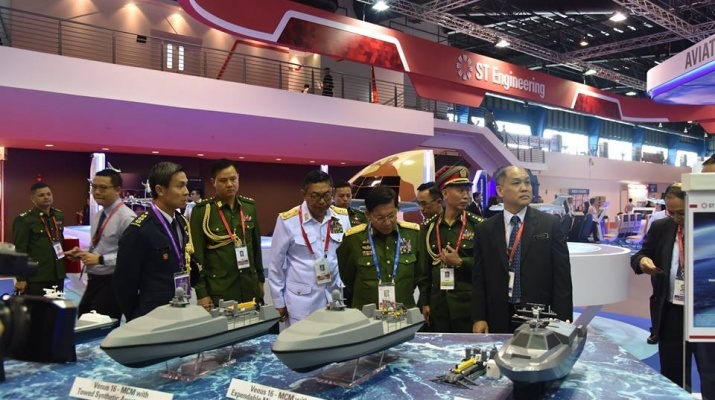 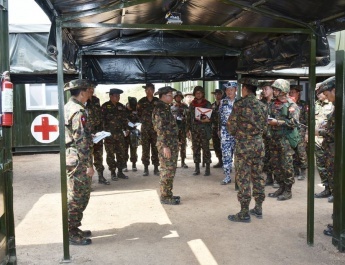 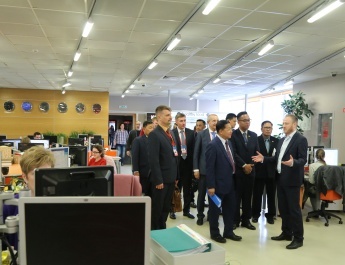 They focused on anti-terrorism, security of the Strait of Malacca, exchange of war vessel visits between the two armed forces and cooperation in military medical education. 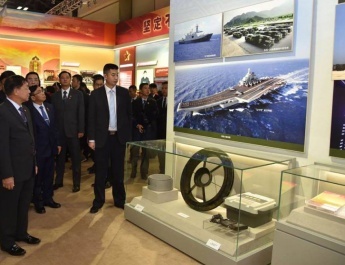 Then, the Senior General and party viewed round fighter airplanes, helicopters and transport airplanes displayed at the centre. 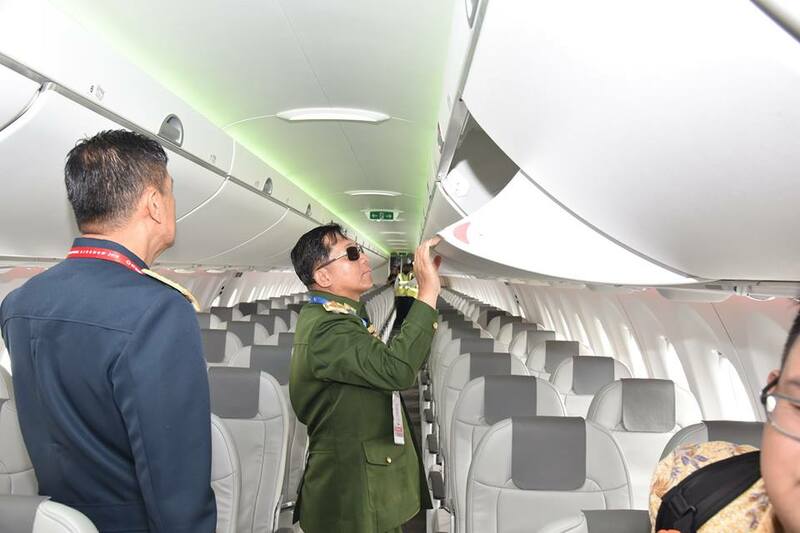 Next, they viewed demonstration of airplanes.